This market-leading textbook continues its standard of excellence and innovation built on the solid pedagogical foundation that instructors expect from Adel S. Sedra and Kenneth C. Smith. 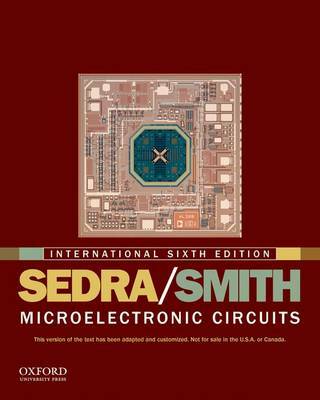 All material in the international sixth edition of Microelectronic Circuits is thoroughly updated to reflect changes in technology-CMOS technology in particular. These technological changes have shaped the book's organization and topical coverage, making it the most current resource available for teaching tomorrow's engineers how to analyze and design electronic circuits. In addition, end-of-chapter problems unique to this version of the text help preserve the integrity of instructor assignments.